"Public health is about shielding people from disease and death. I want to focus on issues that have the biggest impact on these." Timothy Church, PhD, is a professor in the Division of Environmental Health Sciences in the School of Public Health. 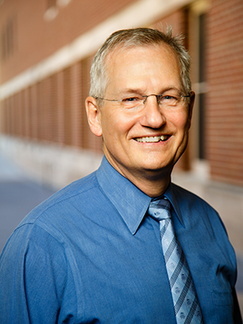 A member of the Masonic Cancer Center’s Screening, Prevention, Etiology and Cancer Survivorship Research Program, his expertise is in cancer screening, colorectal cancer, medical device evaluation, biostatistics, epidemiologic methods, and clinical trial design. Dr. Church is currently leading multiple trials and studies regarding colorectal, prostate, lung, and ovarian cancer, and has recently established a registry for Parkinson’s Disease research. His primary research interests include clinical trials and epidemiological studies related to screening for and prevention of multiple cancers, as well as the development of biostatistical and epidemiologic methods. He teaches Occupational and Environmental Epidemiology and a doctoral seminar on causal inference. Read Dr. Church's full biography.